Founded in 2002, Accurate Home Care LLC fills a need for full-time, long-term home nursing care throughout the state of Minnesota. We assemble a comprehensive care team so both our patient’s health and well-being needs are met in tandem. Our personal care assistant (PCA) and homemaking services provide crucial caregiving relief to both our patients and their families. We assemble our care teams to meet a wide spectrum of care needs. Providing medical and personal care in a home environment requires a special caliber of employee, someone who enjoys a flexible work schedule while developing 1-on-1 relationships with their patients. We hire and develop accomplished nurses and PCAs that gravitate toward that paradigm, and we reward them with solid benefits, recognition and career growth opportunities. In 2012, we saw and met a need to counsel and support school-aged children with mental health challenges focused on past trauma. We offer day-treatment facilities throughout the Twin Cities metro that work with school districts to create and implement custom, intensive individual, group and family therapy. In a matter of months to a year, the skill training and therapy we provide allows children to transition back to school and a more stable home routine. 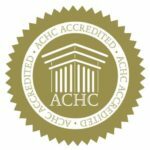 Our Home Nursing offerings are ACHC Accredited and Medicare Certified in Minnesota. We specialize in serving the complex medical needs of our clients 24 hours-per-day, 7 days-per-week. Accurate Mental Health offers Children’s Therapeutic Services and Supports (CTSS) as regulated by the MN Department of Human Services. CTSS addresses the conditions of emotional disturbance that impair and interfere with an individual’s ability to function independently.